Define your strategy. Determine the basic strategy your are employing (e.g., why you are going to us an Cloud Computing and what it is going to provide for you). We have identified several generic strategies that are available including time to market and cost reduction, and several variations. Without knowing your basic raison d’etre for going the Cloud Computing route, it will be impossible to evaluate your success, or to value the service you are buying. Assess your current platform and investment. You need to determine the compatibility of the proposed Cloud Computing with your platform, both from a technology point of view as well as from a systems maturity viewpoint. Look for application sets that are not well developed in your organization, and have a relatively small number of interfaces to other applications, that will tend to be relatively stable over time, and that do not require a large amount of customization to meet your needs. 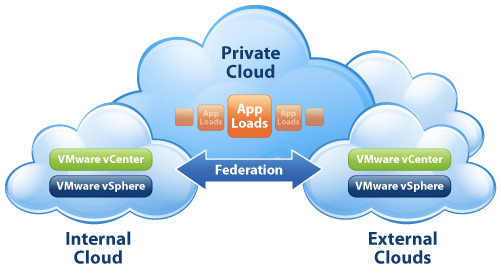 Determine source of value added for Cloud Computing. Evaluate where the Cloud Computing will give your value added. Are you merely replacing an application process or are you going to get something from using the Cloud Computing that you could not obtain otherwise? Understanding this helps to set the pricing for the service. Another critical factor is the level of commoditization in the market. Cloud Computing will charge premiums for services that are unavailable elsewhere. Estimate integration issues (and who is going to pay for them). Our research suggests companies will tend to underestimate the cost and complexity of integration between their infrastructure and the Cloud Computing. You may be able to save by having the basic development of the system paid for by the Cloud Computing, but if there are counter-balancing integration challenges that must be funded by your own organization, the Cloud Computing advantage may disappear. Understanding who is going to pay for what during the entire lifetime of the Cloud Computing relationship is necessary to truly understand the value you are getting. Contract service level agreement (SLA). Negotiation of SLAs for the Cloud Computing relationship can not be done too carefully. The trend is to have a single point of contact for any problem – either application or network performance – that is being contacted in case of problems. First, second, and third tier escalation and Problem Determination Procedures (PDPs) and Trouble Ticket Tracking need to be defined well and subjected to a testing period. Implement “vanilla,” then add value. Our analysis indicates that a user should go as long as possible (in the contracted relationship) without introducing customization or any other changes in the services being purchased. Contacting for the “vanilla” layer of services will give the best price-performance. When absolutely necessary, and after the bugs in the Cloud Computing relationship have been worked out, you can then begin to add value to the contract gradually by introducing extra services (and features) as required. According to the VCM, the key to limiting the unpredictability of long-term contract costs in an outsourcing relationship is to avoid customization as long as possible. One advantage in the Cloud Computing model is that it almost always provides a vanilla level of basic services that can be hitched onto in order to stabilize the long-term costs of the contract. Do a cost analysis. For any consideration of the Cloud Computing model, a cost analysis needs to be done so that the Cloud Computing option is compared to alternative paths. Any cost analysis has a diverse set of variables cost factor elements that can be either included or excluded from the analysis, and depending on what is included the analysis outcome varies. One advantage to the Cloud Computing contingency is that it is possible to receive a fixed fee commitment from the Cloud Computing along with a clear bill of services. Although what is included will vary from contract to contract and from one service provider to another; nevertheless, it should be possible to define the services in a bundle that can be compared to your own costs of providing them internally, although there will be many judgement calls concerning where to load on costs. Chapter 2 of this report reviews the value proposition being made by Cloud Computing. What value to customers are they bringing to the market, and what are the factors that determine whether it is likely to be successful? Chapter 3 details the basic types of Cloud Computing and describes the “delivery chain” from infrastructure and applications through networks to desktops that must be managed to produce high performance in Cloud Computing. Chapter 4 introduces our Why-What-Who-How framework for making decisions about going with an Cloud Computing approach. Chapter 5 reviews the basics of negotiating an Cloud Computing contract for services. Chapter 6 identifies the current risks and limitations of the Cloud Computing model, and proposes various amelioration strategies that can be employed. We have also provided three appendices. Appendix A provides a checklist of factors to consider when evaluating an Cloud Computing. Appendix B provides a watch list to monitor for the Cloud Computing sector. Appendix C provides a more detailed look at the Cloud Computing value proposition from a cost standpoint. Reblogged this on Shaun White – Musings.